Have you ever wondered how Baseball bat, gun barrel, cam shaft, crankshaft, screws, locomotive wheels, metal die etc. are made? Now let’s start to find out answers. A lathe machine is a type of machine which is used for shaping and machining of various types of workpiece. There are different types of lathe machine in use according to the material and size of workpiece. Traditionally it was only used for metal machining but with the advancement of technology it is also used for machining of various types of material.The main function of the lathe is to remove the unwanted material from the workpiece to make it a value added product.The lathes are capable of producing a lot of shapes and forms with great accuracy in very less time. 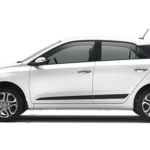 More importantly, these shapes come in various sizes and specifications. Here we will discuss the types of lathe Machines that we are using now. 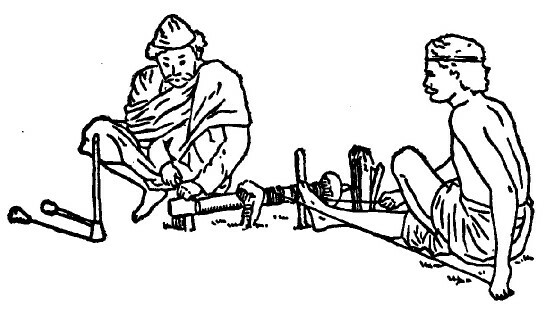 The origin of lathe started around 13th century when the Egyptians first developed a two- person lathe. It is the most simplest method in which one person would turn the wood (work piece) with a rope and meanwhile the other person would use the sharp tool to cut the shapes in the wood. Then after Romans improved the Egyptians design with the addition of a turning bow and so on. Now it’s a well-known fact that improvement with the time in a technology is sustainability. Hence there have been many proposed lathe design from 13th century to current 21st century. But, in medieval period, during industrial revolution it was on hike in Europe and considered as the mother of all machines. Can you develop all the value added products from the same type of lathe? The answer is no, not possible. So there have been many types of lathe machine to make unprecedented products. So now let’s discuss them one by one in detail. Remember the Baseball bat, wooden bowl? 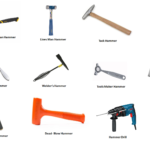 These are some of the products which can be easily made on wooden lathes or speed lathes. As name suggest,there is a high speed spindle which can be operate in 3 to 4 varying speeds ,near 1000 to 2100 rpm,by shifting the position of the drive belts on the pulley system. 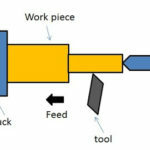 Yes it is very simple in design because the components like gearbox ,feed rod, leadscrew, carriage, are not the part of these lathes which make it more simple and easy to operate in any condition. the major components of these lathes are headstock, tailstock, tool rest, and bed. unlike other lathes, there is less precision in these lathes since the cutting tool is operated by hand. So these lathes require good skill and steady hands to provide spick and span contours and smooth curves accurately on the workpiece. 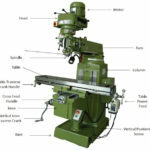 Operations that can be done on these lathes are wood turning, metal spinning, polishing, centering. Then have a glance on this. 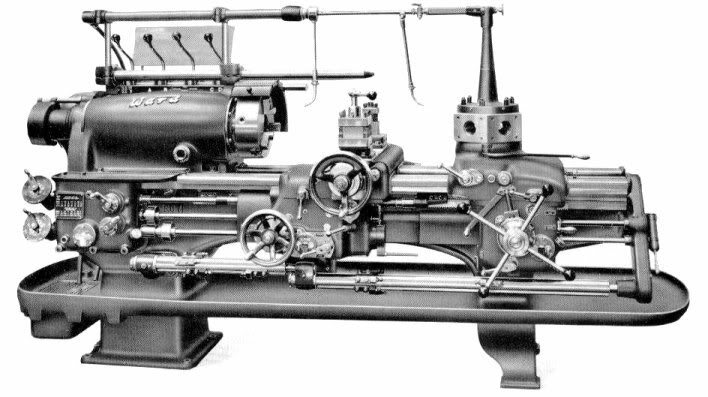 It is all started during the 19th and 20th century when the Engine lathes were considers as the ‘KING’ of all machines. It was one of the most common machine set up in every blacksmith shop. The usage of word “engine” is little confusing here. During its early days it was operated on the steam engines, as steam engines were the major invention and power source during the industrial revolution, and with the advancement of time it shifted its power source to the motors (concerning eco-friendly environment). Due to availability for low and high power operation these are widely used in industries and available in many sizes which can vary up to 60 feet. Now come to its major mounting parts like headstock, tailstock, carriage, compound rest, cross slide, lead screw, feed rod etc. All are mounted on the machine in which headstock and tailstock are mounted in the longitudinal direction of machine with gear selector, rpm selector, feed selector in the former and barrel in the later one. 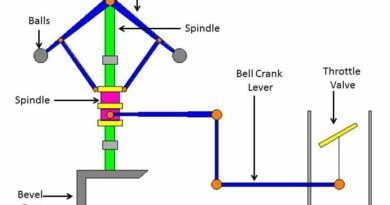 More importantly, similar to speed lathe, headstock contain spindle which has a wide range of speed ratios in the presence of gearbox. Carriage travels in the longitudinal direction of the bed for the turning operation. Compound rest and cross slide are mounted on the top of the carriage to provide angular movement and cross or transverse movement. 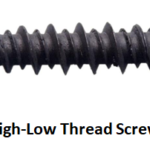 Lead screw is used to make threads on the work piece and feed rod is used to give the linear moment to the carriage in the longitudinal direction of the machine. What if I want make precision tools and products? 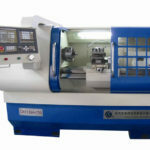 Some products like metal die, precision tools, jigs and fixture require more precision and accuracy to work; in that case tool room lathe machines are used. Unlike engine lathes, these are much more precise and accurate. 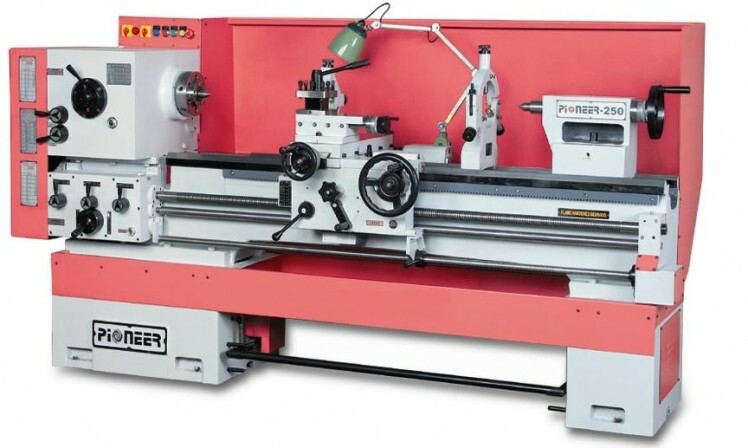 These are also well-known as the standard manufacturing lathes and are used for various operations such as boring, drilling, turning, reaming, producing screw threads, knurling, taper turning, and sometimes adapted for the special milling operations with the appropriate fixture. These have gearbox attached in the head-stock which provide wide range of speeds ratios, can vary from a very low speed to a very high speed, and extended range of thread pitches. What if someone wants to go for a mass production? Because mass production produce work piece in large quantities with duplicate products, which by nature known as interchangeability, reduces error, saves time. All this can be done by using capstan and turret types of lathe machine. It is essentially a tool for production of work piece in large quantities with duplicate products, which by nature are usually interchangeable. It is used where sequence of operations are required on the work piece. Unlike engine lathe, these machines have hexagonal turret mounted on saddle instead of tailstock on which multiple tools may be fitted and feed into the work with proper sequence which also reduces the time to remove work piece from one machine and to hold it on another for various operations such as turning, drilling, boring, reaming, knurling etc. by manually or automatically alter the tool position which also reduces the chances of error in alignment and machining process. For operating these machines not so skilled labors are required. Whatsoever skill is needed of the operator is the setting of the tools in the turret or capstan head, and after the completion of this task further operations of these machines are automatic. The difference between turret and capstan lathe is only that the capstan lathe is somewhat enhanced version of turret lathe. Unlike turret lathe, hexagonal turret is mounted on the ram and which can move in the longitudinal direction of the machine. These ram is provided to absorb the vibrations. These lathes are constructed for special product making which cannot be performed on the standard lathes. 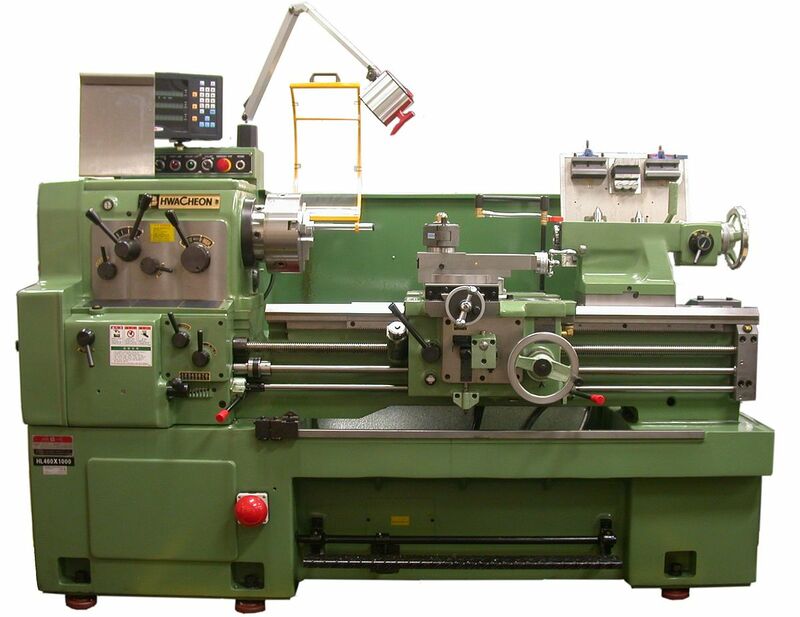 As the name suggest, these lathes are used for special purpose such as heavy duty production of identical parts. 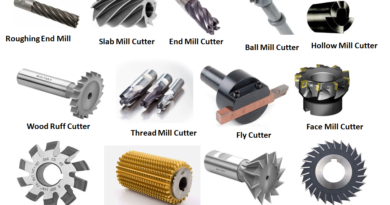 Some example of special lathes include Automatic lathes, Crankshaft lathes, Vertical lathes, Wheel lathes, Multispindle lathes, Production lathes, Bench type jewelers lathes etc. These are very large in size and made for turning solid wheels and tired wheel, worn out treads of locomotive wheels, roadways wheels etc. into a proper required profile by removing spots, shelling, unwanted shapes. These are the miniature of standard lathes which are designed for the machining of the small parts with greater precision. It contain collet type chuck, feed screw, precise manual cross feed etc.. Since the controls and feeds are calibrated in smaller increment which result in better precision of the work piece. With the advancement of technology there is a transition from manually to semiautomatic to automatic lathes. These are high speed, heavy duty, mass production lathes in which all the job handling operations and all the processing operations are done automatically. Ex – Single spindle automatic, swiss type automatic lathe, etc. It carries all the attachments like taper turning, threading etc. It is mainly used for turning very long parts like Turbine, Crank shafts and Engine shafts etc. 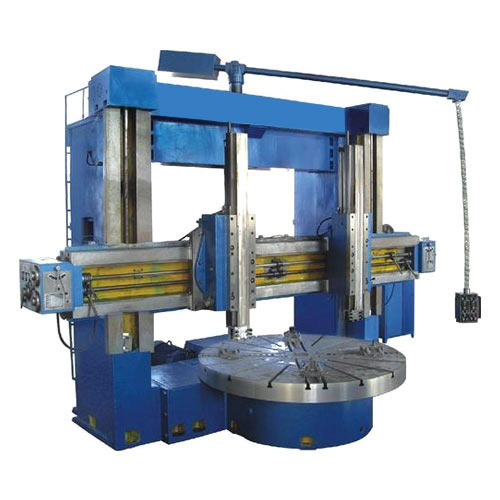 These machines are employed for jobs like heavy and dense flywheel, large gear blanks etc. Vertical lathe machine is similar to the horizontal lathe in which the machine stands up on its ends. Some industries use this instead of horizontal lathe because sometimes space comes up as a constraint. While others prefer it for doing turning and boring on large and heavy rotating parts which cannot be otherwise supported on other lathes. It has a heavy and dense base to the lowermost part which carries a face plate to grasp the work piece. One of the most prevaliling technology through which and shape and size can be machined into a desired product. 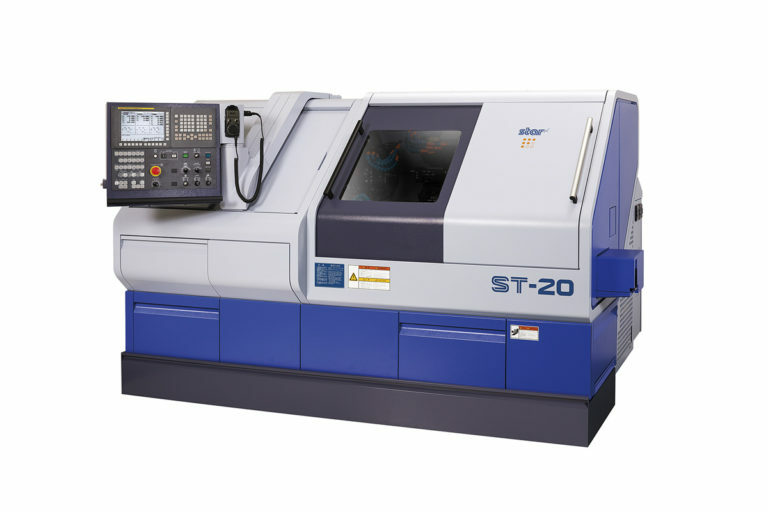 Computer numeric control (CNC) has been incorporated into variety of new technology and machinery, in this case known as CNC lathes. 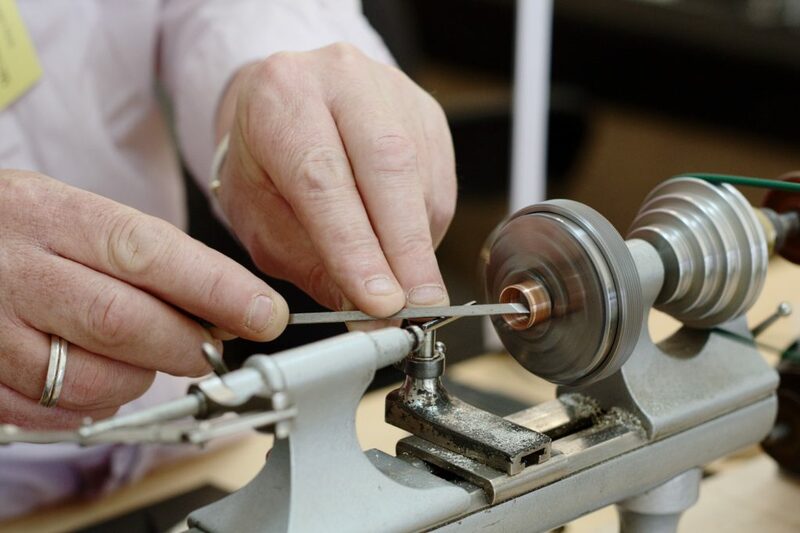 It has been quickly replacing some traditional and old lathes since the advancement in this technology, which results in top notch accuracy and precision. It can be easily setup and no skill set is required to operate, though skill is required to programmed the tool path which often done by CAD or CAM process,then coded files are updated to CNC machine which produce desired path for which it was programmed to design the product. Operator can actually see a visual simulation of how the machine will works during the production phase. This is all about the types of lathe machine, If you find anything missing or incorrect than don’t forget to comment or mail us. Like and share this article If it enhances your knowledge about lathe machine. Thanks in advance :). 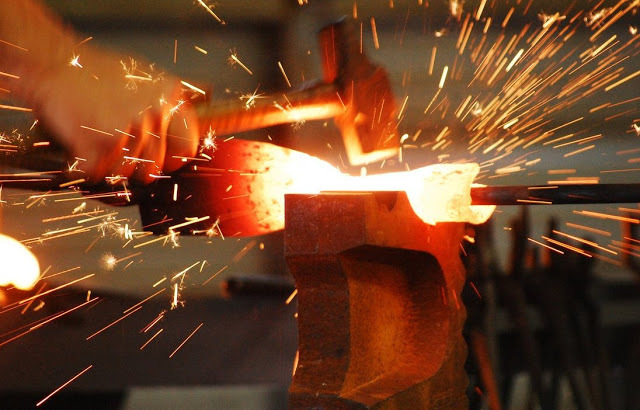 ← What is Brazing and How Does it Work?